The University of New Brunswick Conference Services, the Fredericton Convention Centre and the Fredericton Tourism Department have teamed up to help bring more events to Fredericton. UNB president, Eddy Campbell, will host an event at the Wu Conference Centre on Monday, Jan. 28, at 11:30-12 p.m. to introduce the new Meetings Matter toolkit. This toolkit allows individuals to suggest events that could be hosted in Fredericton. A team of experts then helps assess whether the event can be hosted here and helps encourage the event planners to choose Fredericton. Conferences have a huge impact on Fredericton's local economy. On average, one delegate from a national association is worth $324 - per day - to the Fredericton economy directly (not including airfare or other factors indirectly related to Fredericton). A 500-person conference for 3 days is worth almost $12 million dollars in new money for Fredericton. 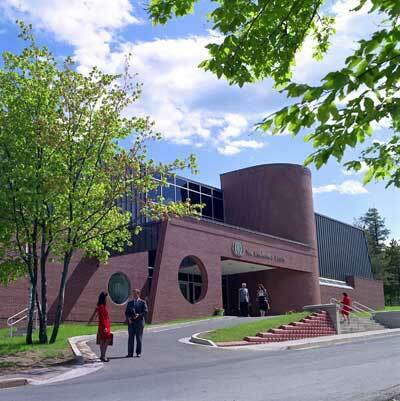 It is estimated that UNB faculty, staff and students have ties to more than 1,000 organizations that need a place to host their meetings, conferences or events. UNB faculty, staff and students are therefore asked to come learn more about how easy it can be to bring events to Fredericton. The toolkit was created by the the City of Fredericton and the Fredericton Convention Centre. All those who attend this information session on January 28 will receive a gift card for a complimentary Tim Horton's coffee and muffin in the Student Union Building and free parking passes can be provided in advance if needed. Contact Beth at bwallace@unb.ca, or 458-7298 for more information or to RSVP.